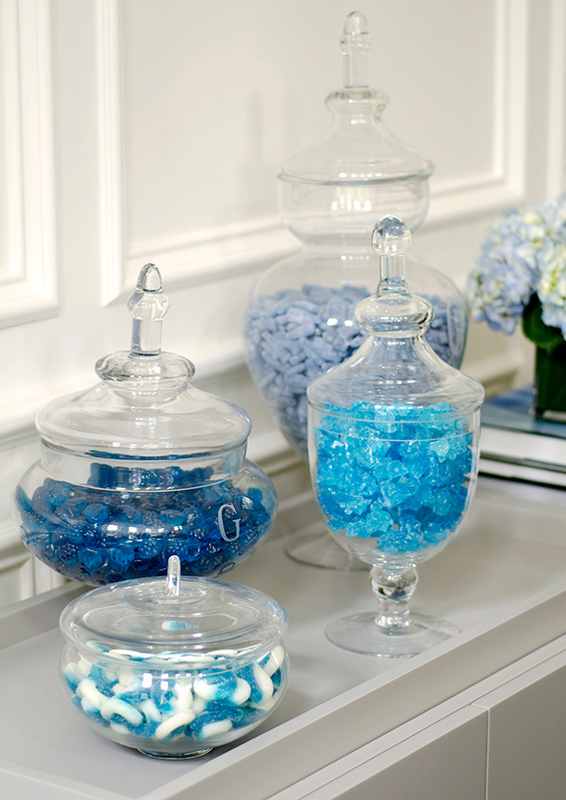 As much as I adore a bright, vibrant home, there’s something entirely appealing and chic about one filled with relaxing neutral tones–with a little bit of blue thrown in of course! 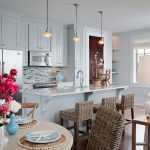 This gorgeous home located in a suburb of Boston was designed by Noelle Micek of An Organized Nest and Tricia Roberts Design and was beautifully captured by photographer Jamie Salomon. I love that even the formal areas of the home have a casual bent to them, with relaxed fabrics, great texture and a sophisticated mix of patterns. Ooh and I especially love all the artwork!! I'm obsessed with all of this decor 🙂 i think i fell the most in love with the first sets of photos of inspiration! Love these images. That soft pallet is so gorgeous, I pinned three pictures! Do you know who the artist is for the couple on the dock? Ive been looking everywhere! Stunning! The artwork is fab too! love! Love this home! Would especially love to know who the artist is of the Man and Woman on the dock! Thanks! How lovely! I love the pop of turqoise! I would love to know the artist of the woman on the dock as well- stunning! These are all lovely but much would be impractical for me with four cats. I should start a blog: DECORATING FOR PEOPLE WITH CATS. There's a console table – is it covered with jute? 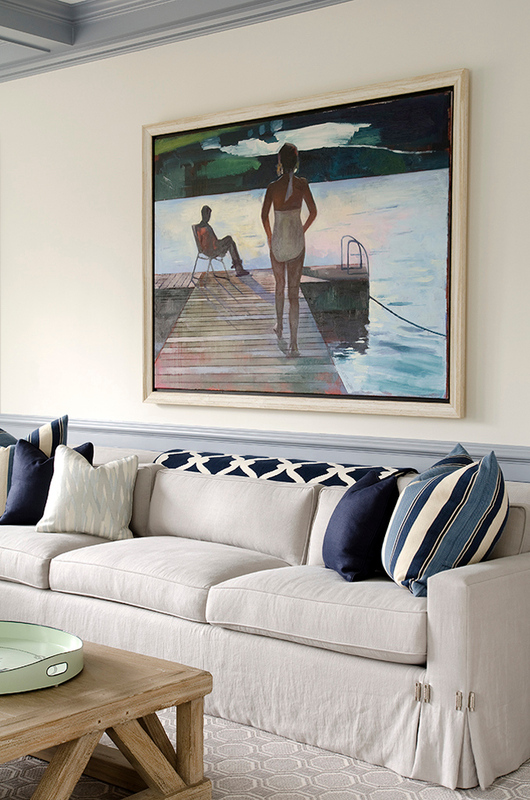 that couch with the navy throw over it is DIVINE! Love these images. OH – and the desk with natural fiber — OMG! I'm obessed with the bedroom!!! Noelle & Tricia, what paint colors did you use for the stripes? I would also love to know where you got the fabric for the head board. 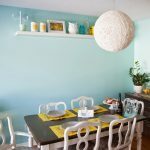 does anyone know who did the painting of the ocean above the console table? I am in love! thank you! It looks like several people asked about the artist who did the painting of the man and woman on the dock. His name is Joel Werring and his website is http://www.joelwerring.com. Beautiful work! I wish I knew the color of the walls in the third pic down. Simply perfect! 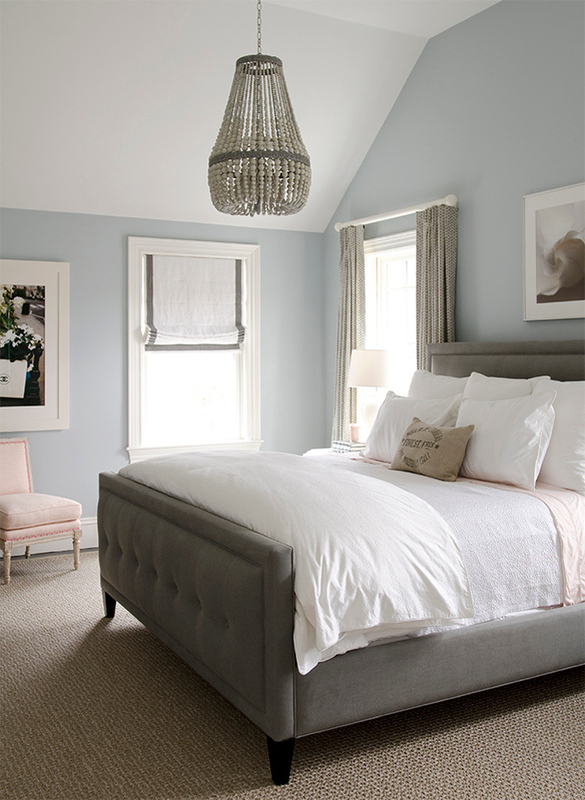 The bedroom is painted Benjamin Moore Silver Gray 2131-60…I agree, perfect! Would love to know who is the artist of the photograph of the ocean wave that is above the table. I also would love to know the name of the artist. it would be a terrific help in blogs if artists and links to their websites or shops were listed…these are people who could use all the publicity they can get. everyone knows paint chips, but benjamin moore doesn't need the help from an interested audience as much as that painter does, LOL.